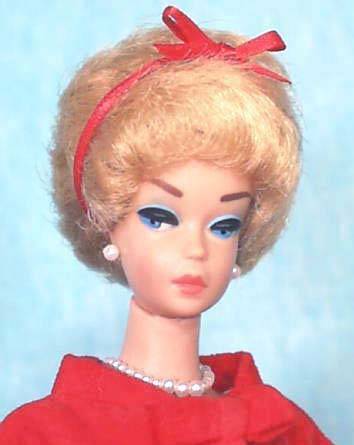 Welcome to my Vintage Barbie page. These dolls have been kept in a smoke free enviroment and very well preserved. Most of my dolls have never been removed from their original boxes and still have the original plastic covering. Skipper is still in her original box. Box does show a little wear. She was removed from box to be photographed. This Rare and Vintage Barbie is in Mint Condition has never been taken out of box except to be photographed she still has her wrist tag and stand as well as booklet. Her head is still covered in plastic. Box is a little worn but in great condition. PURCHASE INFORMATION: IF YOU SEE ANYTHING LISTED ON THIS SITE AND ARE INTERESTED IN MAKING A PURCHASE SEND ME AN E-MAIL. I ACCEPT PAY PAL AND WILL SEND YOU AN INVOICE VIA E-MAIL. THANKS FOR LOOKING!! !